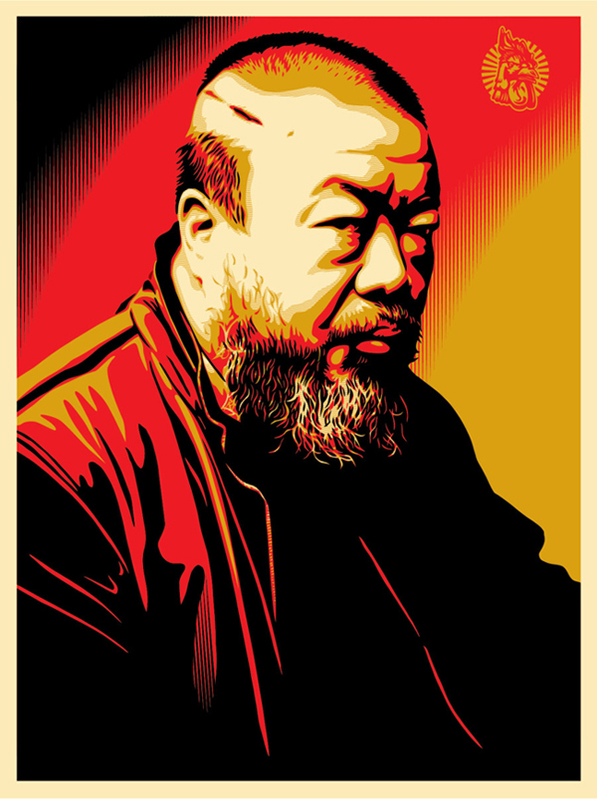 The renowned and controversial graphic designer Shepard Fairey, known for creating the iconic 2008 “HOPE” campaign poster for President Barack Obama’s is back in the spotlight with another instantly identifiable image: Chinese artist and activist Ai Weiwei. Fairey’s newest poster shows Ai with a cut on the side of his head, a reference to an injury the artist suffered at the hands of Chinese police in 2010. The striking orange, red, and black portrait was made in collaboration with Friends of Ai Weiwei, as a way to pressure the Chinese government into giving Ai his passport back. Ai, a political artist known for challenging authority and fighting for freedom of expression through minimalist artworks and internet activism, has been under house arrest since 2011. His passport is still in the possession of the Chinese authorities since it was confiscated that year. At artsy.net you can find more info about Ai Weiwei. The bold portrait will be printed in a limited edition of 375, 100 of which will be donated to the Brooklyn Museum, which will present an Ai Weiwei retrospective exhibition, “Ai Weiwei: According to What?” from April 18 through August 10, 2014. Story via the Huffington Post.